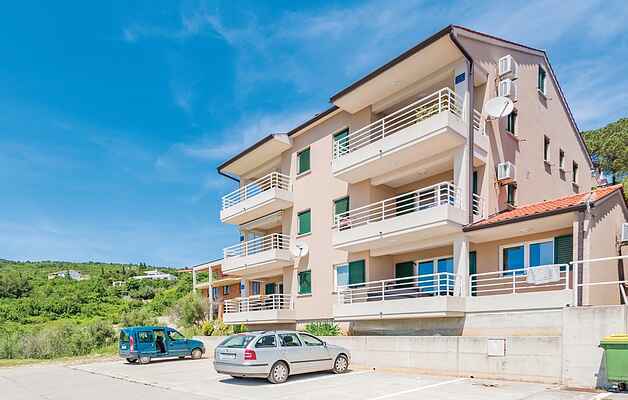 This beautiful holiday apartment with a sea view is located in a tourist village Rabac, famous for its wonderful pebble beaches and coves, which is why it was named a "Pearl of Kvarner". It is situated on the slopes of the hill rising above the sea, in a building with only a few apartments and it will provide you a high quality holiday. Relax on a covered terrace or walk along the seafront promenade with numerous souvenir shops and bars. We recommend a boat trip to many interesting destinations, as well as a visit to the nearby picturesque old town of Labin, the venue of numerous summer festivals.